Get half price off on our sizzling skillets: Braised Beef Skillet, Breakfast Skillet, and Salisbury Steak Skillet. 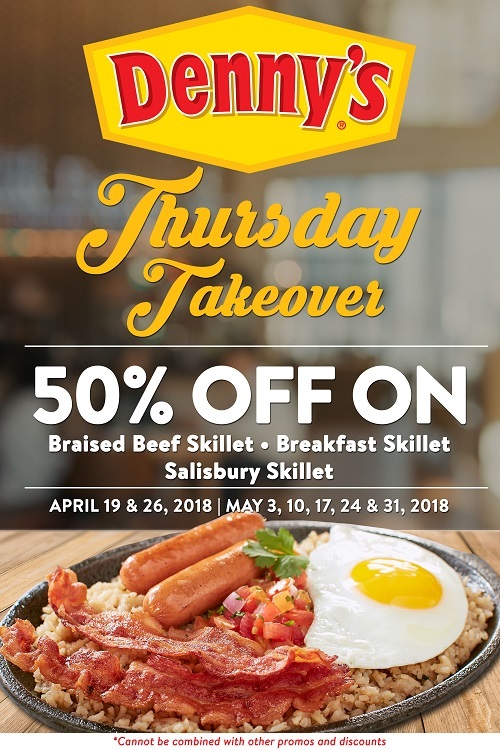 Offer is valid in all branches except Cebu, every Thursday from April 19 until May 31, 2018. Copyright © 2019 denny's Philippines. All rights reserved.